To make Oz a free land again, Amy Gumm was given a mission: remove the Tin Woodman's heart, steal the Scarecrow's brain, take the Lion’s courage, and then Dorothy must die . . . But Dorothy still lives. Now the Revolutionary Order of the Wicked has vanished, and mysterious Princess Ozma might be Amy's only ally. As Amy learns the truth about her mission, she realises that she's only just scratched the surface of Oz's past—and that Kansas, the home she couldn't wait to leave behind, may also be in danger. 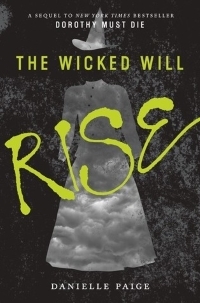 In a place where the line between good and evil shifts with just a strong gust of wind, who can Amy trust—and who is really Wicked?